CPC - Longview, TX Area Looking for Work. I am looking for either a remote or in-house job. My goal is to obtain a position that will allow me to further my knowledge in medical billing and coding in the preparation of the upcoming industry changes. I am a very hard worker, who is extremely organized, task oriented, and punctual with any and all deadlines. I am very skilled at learning new concepts quickly, work well under pressure, and communicate ideas clearly and effectively. 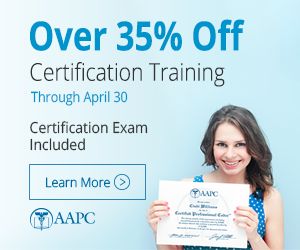 •	Certified Professional Coder (CPC) as certified through the AAPC. •	Handle ERA's, EFT, delinquent accounts, accounts receivables, posting charges, posting payments from EOB, contractual adjustment, deductibles, co-insurance, and more. I provided a streamline billing process that turned a small family practice from bankruptcy to profitability within 6 months. •	Medical Billing and Coding for several family practice offices. CPC-A Looking for work anywhere in Manhattan area or north jersey area.